Our friend, Emily Sundberg, from @shelovesfoodnyc provided this delicious recipe for our #12DaysOfCookies. Check out the recipe after the jump! While there is plenty of curiosity about going gluten-free, there is just as much misinformation. 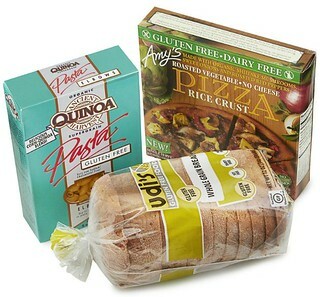 Wondering if a gluten-free diet is for you? Let’s find out together: Come with me as I take a healthy look at gluten-free eating, including exciting news about our improved Gluten-Free Store! I’ll be your guide, pointing out highlights and pitfalls along the path. Gluten is a protein found in wheat, rye, and barley and their derivatives. Some people, such as those with celiac disease, have an immune reaction to gluten that damages their small intestine and limits nutrient absorption. For more gluten-free facts, check out our FAQ section here….